The Nintendo Switch is the perfect console for taking your games on the road, but if you want to connect it to a hotel TV for big screen gaming while travelling, you’ll need to make room for its clunky dock in your suitcase. It’s arguably the worst-designed part of the Switch, but third-party companies like Nyko are finally fixing that. When the Switch first became available, many of us assumed we could use a small USB-C to HDMI adapter to connect it to any TV. But none of them worked, as a result of additional electronics Nintendo has included inside the Switch’s dock. Boo. There’s also no indication that Nintendo plans to release a smaller version of its dock to improve the Switch’s portability, but Nyko will. 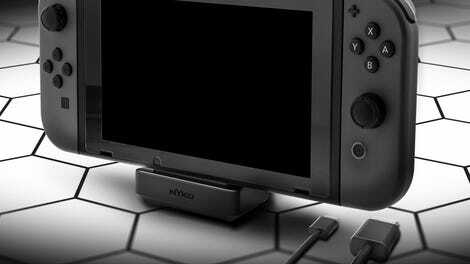 Available this autumn for $45 ( £36), Nyko’s Portable Docking Kit does almost everything Nintendo’s larger dock does, including charging the Switch via its USB-C port, and allowing it to be connected to a TV via HDMI.